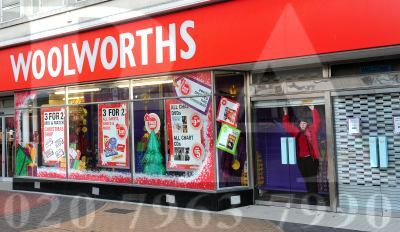 The government has entered talks with troubled retailer Woolworths’ administrators in a bid to keep the company trading over Christmas. The high street chain went into administration last night despite last-ditch efforts by the government to save the jobs of Woolworths’ 30,000 employees. Gordon Brown assured staff that they would be given help to find work should they face redundancy. After struggling under a debt of £385 million and falling share prices, Woolworths called on administrators Deloitte last night to find a suitable buyer for all parts of the business. Deloitte, whose appointment was confirmed today, said it had received interest for both the retail arm and the firm’s E.UK wholesaling operation in the past 24 hours. “Stores will remain open past Christmas and employees in stores will be paid,” reorganisation services partner Neville Kahn said. “Woolworths has suffered a number of cash flow problems. Strenuous efforts over recent weeks to keep these companies going have unfortunately failed,” he added. The lottery operator Camelot dealt another blow today as they suspended trading with the store. The decision means Woolworths will no longer be able to sell lottery tickets and scratch cards. Once Britain’s best-loved retailer, Woolworths has lost out to online retailers and the growing success of supermarkets, who now share Woolies’ once unique selling point of having ‘everything under one roof’. The company is just one of the casualties of the global economic crisis. Kitchen and furniture store MFI called in administrators yesterday after “severe cash flow pressure”, and the owner of PC World and electrical retailer Currys reported a £30 million loss for the half-year. Jamie Crossan asked the people of Edinburgh their thoughts on Woolworths going into administration. Posted in Economy and Business and tagged economic crisis, Woolworths. Bookmark the permalink.